We’ve seen this view before, in a photo taken eight years later from the same vantage point atop City Hall. 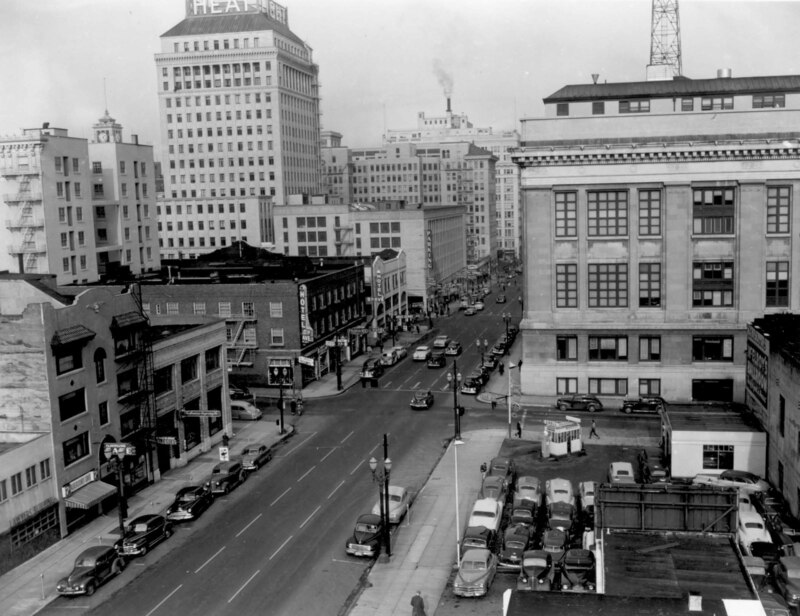 This photo show more of the surrounding buildings in this view north up 5th Avenue. Many buildings are familiar today but a few (Congress Hotel and Cole McElroy’s Ballroom for two) met their fates many years ago.